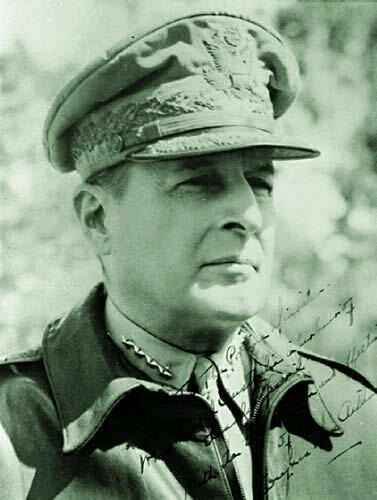 I’ve always had a soft spot for Douglas MacArthur and think, rightly or wrongly, that he is one of history’s most maligned and least understood commanders. Here is a soldier who reached the top of the heap, Chief of Staff of the US Army, before WW2, who retired to his beloved Philippines, and who was recalled back to duty after Pearl Harbor. Together with Dwight Eisenhower and George Marshall, he was a key figure in implementing a style of occupation we can still (and should) be learning from today and halting the postwar advance of communism. This is not an Americanism – it is a universally applicable reminder that, indeed, there is no substitute for victory. It does not say how that victory should be achieved, or under what conditions, or in what environments. Simply, it’s about doing our jobs and not letting the bad guys win. To achieve this, we may have to change our ways and, this is where Douglas MacArthur is commonly held to have failed. Personally, I think that’s debatable given his mandate and mission. This entry was posted in The Thursday/Friday War and tagged Command and Leadership, doctrine, ethos and culture, ethos and values by SJPONeill. Bookmark the permalink.